Andrey Schukin’s speciality is creation of new products and innovative engineering solutions. He has over 12 years of experience in most stages of new product development: market research, idea selection and proof, IP protection, engineering, manufacturing implementation and product commercialisation. He holds two Master degrees: one in Mechanical Engineering and another one in Creativity and Innovation Management, and is always on the lookout for new, more efficient ways to create better products. 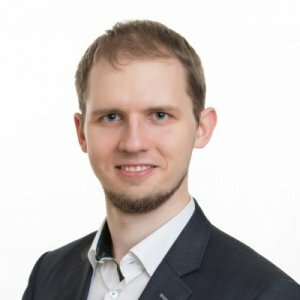 Andrey has been working with large international corporations as well as with small start-ups in Sweden, UK and Switzerland, managing and contributing to product development projects within a wide range of industries: from power generation and offshore engineering to consumer electronics, telecom, microscopy and medical devices. As a result, he brings to the table the broad knowledge of current best practices for the new product creation. His interests cover team creativity, product usability and effective product innovation and he has been invited as a guest speaker for courses in Problem Solving and Innovation Management at the leading universities in Switzerland and Hong Kong. What to do before Project Starts? *Successful Product - What is it?